@guru yes we have two "big" meeting rooms with big TVs. One bigger room with a projector. An open area with an projector. Another projector in a cabinet. I was asking more for the interface HMDI because my Acer C720 netbook has only HMDI. And for some projector to capture the device BQ (...) with some kind of cam located on top over the BQ and beam it to the wall while one is manipulating some app to show some nice feature/stuff. Does your office has such stuff? I'm also interested in meeting, no matter what the subject. I'm very frequently in Brussels, and Lisbon, so any place that is near, or has good direct transportation is fine for me. I want to leave the suggestion of instead of using GetTogether instead of the Meetup. GetTogether is Free Software, made by Michael Hall (former Canonical employee, former Ubuntu Community Manager, current Community Manager at Endless, and all around nice guy). Besides being Free Software that we can run by ourselves, we can federate it, or just use GetTogether.community service. I believe GetTogether is more aligned with this community goals, and we can benefit both projects. @diogo could you post the url of this get together. It seems I am not able to find it. Thabks. But yeah. It is out. Is there also another alternative for these kind of events? The other part is where can we announce this also to involve more interested people? 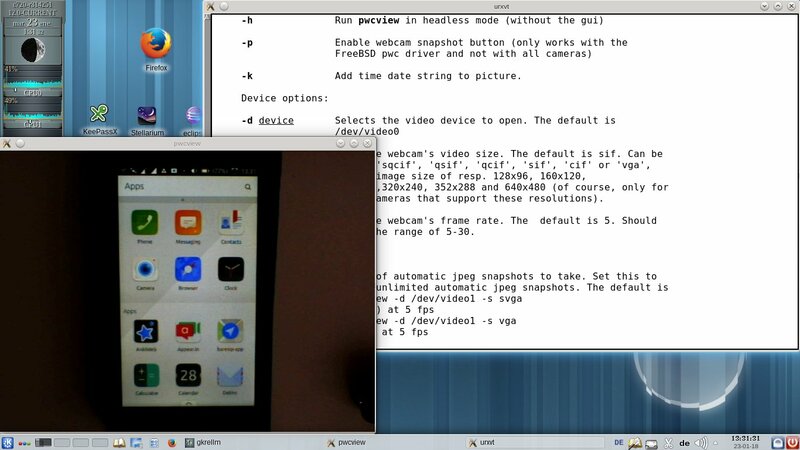 @twinkybot I found an easy way to bring the BQ to the UNIX laptop screen to show something live; see the fotos. 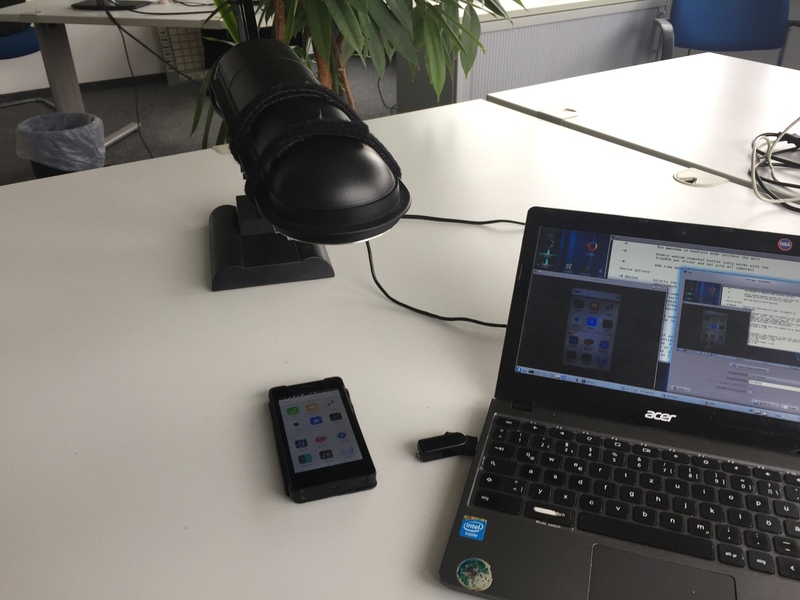 A small VGA cam is "mounted" into a lamp over the BQ. @twinkybot Yes it's. The project is very young. And it doesn't have anyone expert on front-end working on it. All contributions on that area are welcome. Michael Hall (project developer), is saying that he will prioritize our requirements if we wish. I'm really considering going to the Munich event. I'm not to far (currently in Brussels). However I don't speak German, I think I could only understand you guys in English, will this be ok with you? I would like recommendations for an hotel. besides being interested in learning more about development of and for Ubuntu touch, I'm a podcaster and I would love this opportunity to do some inside coverage of the event. Will you guys be also ok with this? What does the last point mean exactly? @hummlbach Possibly I would do some recording of us working, ideally some interviews or chats within the group. Off-course nothing private and or personal would ever be published. And nothing would ever be recorded on any instance without all attendees be informed and authorize. The idea is to create content that shows we're at work, people specifically developers are interested on it and others that are undecided could know that we as a community will be there for them, and also that Ubuntu Touch is not dead (some people still think it's).